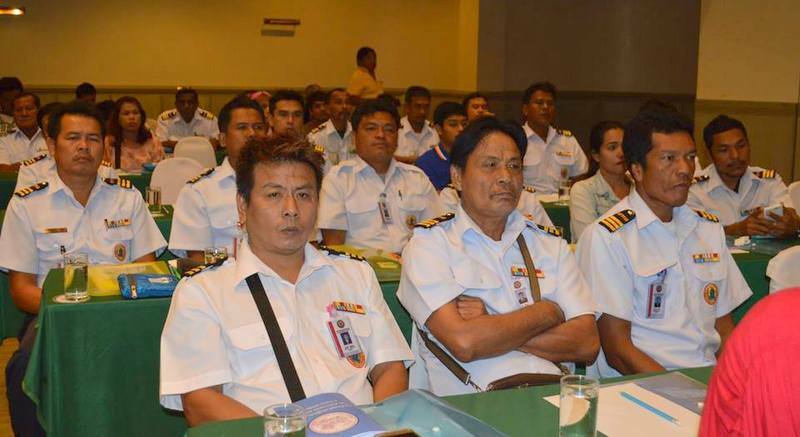 PHUKET: More than 300 Phuket public transport drivers, including tour bus, taxi, tuk-tuk and motorcycle taxi drivers, yesterday (Aug 30) attended the first in a series of training sessions aimed to bring them to international standard. 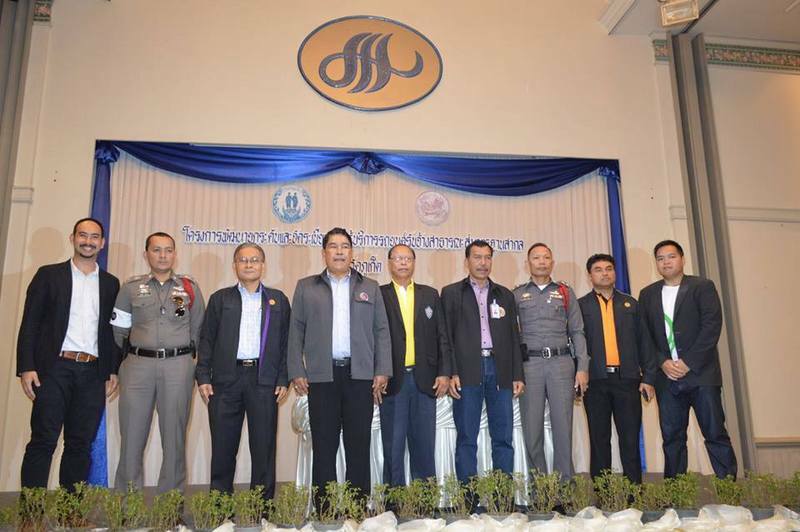 Leading the presentations at the training session, held at The Metropole Hotel in Phuket Town, were professors from Phuket Rajabhat University, officers from the Phuket Provincial Police and staff from Grab Taxi. 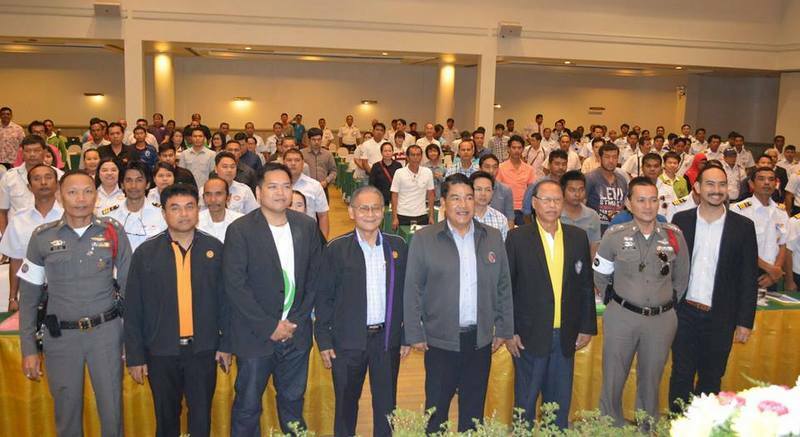 Vice Governor Chokdee Amornwat presided over the launch of the project. 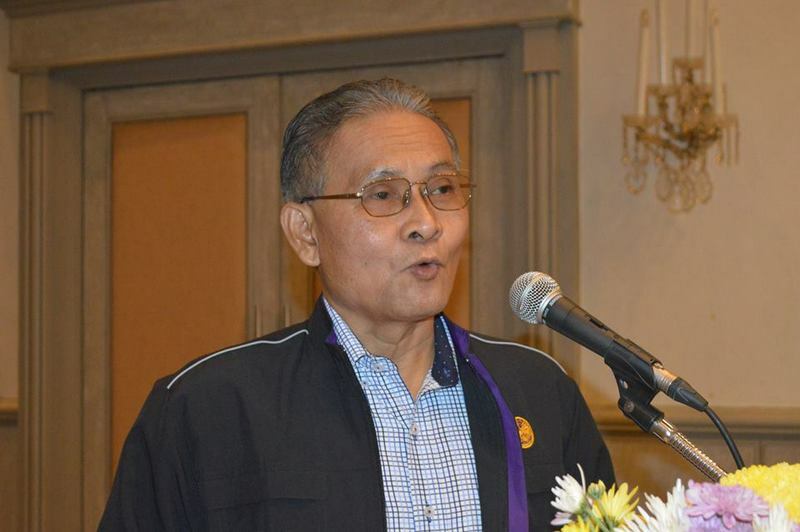 “The main purpose of this project is to raise awareness among public transport drivers to the level of professionalism and quality service that is required by those who provide public services,” Phuket Land Transportation Office (PLTO) Director Sommai Sutkhao told The Phuket News. “If we upgrade the quality of service and have professional drivers, we will in turn promote and boost tourism for Phuket,” he said. “A good starting point is to develop quality service. Public transport drivers are more than a person who picks up and drop off people, he or she also is one of the most important persons who welcome tourists,” Mr Sommai said. “So our public drivers must take care of our visitors, provide assistance and treat travellers like family. Giving tourists the best impression of our people when they are here is important, as it helps to build tourists’ confidence in them and ensures tourists’ safety during their visit here,” he added. The training covers many topics, including road safety, public service, traffic law, vehicle safety and maintenance and English language. The next training will be on Friday (Sept 2), followed by another on Sept 9. All training sessions are held from from 9am to 4pm, and at The Metropole Hotel. Any drivers wanting to join a training session are to register for the event in person at The Metropole Hotel from 8am on the event day. Just get them to slow down by about 40 %  and stop tailgating. That's all I see is needed. Ed... that's what the training is for. Do you know the program? This is a reasonable action to take. However, if those that break traffic laws are caught and then fined and punished with meaning, the bad driving habits will never change. Who are all these people in co-pilot uniforms on the photo? And all are heavenly decorated as well. Never saw them on Phuket roads. Are the drivers paid a day fee to attend the day session? Of course a free lunch will be provided.